Vallabhbhai Patel (October 31, 1875 – December 15, 1950) was a political and social leader of India who played a major role in the country's struggle for independence and subsequently guided its integration into a united, independent nation. He was called the "Iron Man of India", and was often addressed as "Sardar" which means "Chief" or "Leader" in many languages of India. Vallabhbhai Patel already had a successful practice as a lawyer when he was first inspired by the work and philosophy of Mahatma Gandhi. 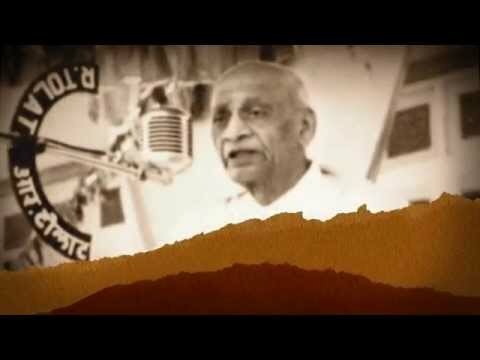 Patel subsequently organised the peasants of Kheda, Borsad, and Bardoli in Gujarat in a non-violent civil disobedience movement against oppressive policies imposed by the British Raj; in this role, he became one of the most influential leaders in Gujarat. He rose to the leadership of the Indian National Congress and was at the forefront of rebellions and political events, organising the party for elections in 1934 and 1937, and promoting the Quit India movement. As the first Home Minister and Deputy Prime Minister of India, Patel organised relief for refugees in Punjab and Delhi, and led efforts to restore peace across the nation. Patel took charge of the task to forge a united India from the 565 semi-autonomous princely states and British-era colonial provinces. Using frank diplomacy backed with the option (and the use) of military action, Patel's leadership enabled the accession of almost every princely state. Hailed as the Iron Man of India, he is also remembered as the "Patron Saint" of India's civil servants for establishing modern all-India services. Patel was also one of the earliest proponents of property rights and free enterprise in India. 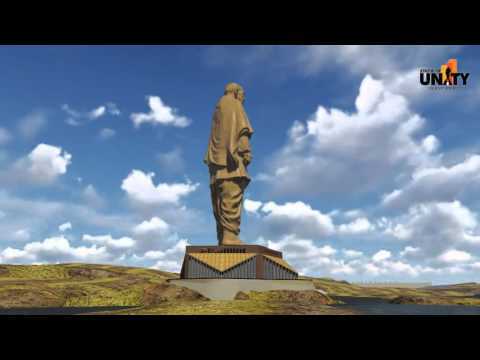 His pivotal role in channeling India's unity was but one of a multi-faceted leadership of Sardar Vallabhbhai Patel. Also crucial in building India in the post-independence years were his pursuit of practicing "Suraaj", meaning good governance, which he practiced as India's first Home Minister and India's first Deputy Prime Minister. 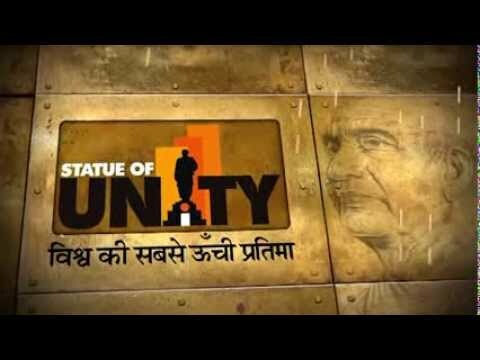 Always rooting for unity, he was also instrumental in mobilizing the farmer community of India, as well as bringing together various castes and communities to join the freedom struggle. Much before his foray into the freedom struggle one can see the force of his iron will power in his passionate pursuit of law as a career. Gifted with an ingenious mind, Sardar always wanted to become a barrister. However, in those days, to realize this dream, one had to go to England. Having been born to a common farmer's family, he had no financial means to join a college even in India, let alone travel to England. However, such hindrances were never a deterrent for the young man of steel determination for he found a way to achieve his dreams. He taught himself. His first step was to borrow books from a lawyer friend and study from home, and for practical training he started attending court sessions to closely observe every argument being made. Needless to say, the young man passed with flying colours and started his practice in Godhra. Another facet of his character and compassion is seen when later on he had the capacity to travel abroad, but allowed his elder brother Vitthalbhai, who too was a lawyer, to go to England for higher studies in Law first. Only after his brother's return did he himself leave for England, where he stood first in the Barrister-at-Law examination. Sardar Patel's foray into the freedom struggle was inspired by Mahatma Gandhi, who he met during a meeting in Godhra. From then on they became friends and Patel started following Gandhiji's activities, especially his success in the Champaran Satyagraha. The defining moment for the Sardar came when in 1918; Kheda was inundated and devastated by floods. With their crops damaged, farmers asked for relief from the heavy taxes the British government had ensued but to no avail. Gandhiji joined in the fight but could devote his entire attention to Kheda's struggle. As he was looking for a person to take up the cause of the farmers in his absence, Sardar volunteered. As always he never did anything half-hearted, and his first step was giving up his well-paying legal practice and joining the non-cooperation movement by switching over to Khadi clothes. The struggle was a resounding success with the British government agreeing to hold talks with Sardar, and later on agreeing to his terms of rolling back the tax rates. From then on, there was no looking back for this Son of the Soil. Paving the way for a clean and planned administration for Ahmedabad, Sardar played a more administrative role in the city. Prior to joining the Freedom movement, he was elected the sanitation commissioner of Ahmedabad in 1917, while he was still had his legal practice. In the later years, he was elected Ahmedabad's Municipal President in 1922, 1924 and 1927, during which Ahmedabad saw the extension of electricity supply and some major educational reforms. After the successful Kheda Satyagrah, in 1928, when Bardoli Taluka in Gujarat suffered from major natural calamities, Sardar Patel took up cudgels on behalf of the farmers once again. In another resounding victory over the draconian British taxation rules, Sardar organized the farmers, told them not to pay a single paisa of tax, and fought the oppression till the British government bowed down. Another definite struggle was the Disobedience Movement in 1930, following which he was arrested. Later, he was released and was elected Congress president in the 1931 session in Karachi. In August 1942, the Indian National Congress launched the Quit India Movement, following which Sardar Patel along with many other freedom leaders was jailed for three years. Soon after the Indian Independence, 565 princely states, some of which were ruled by Maharajas and others by Nawabs, started believing they would become independent rulers of their kingdoms as in the pre-British era. They argued that the government of free India should treat them as equals. It was Sardar Patel's insight, wisdom and diplomacy that drove sense into the minds of the monarchs who agreed accession to the Indian Republic.